We understand that nowadays doing eCommerce online is not easy especially starter, that why we step in and help whoever in eCommerce business with hand to hand strategies to build a long term relationship and solved their headache and cut short for the time consume. *Free storage space (size around 800sqm or more than 8000sqf, clean and convenient), everything is ready so user can move in anytime. *Inventory system, user can download the mobile apps to check items quantity with out onsite. We do provide pickup / delivery service for storage user and target to charge as low as we can. 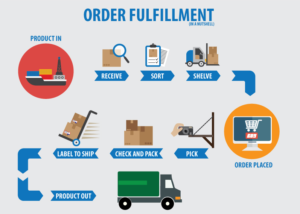 Using our delivery service so every user may able to enjoy our completed Order Fulfillment System and process. * Pick & pack (P&P) service. So with Sandstone Transport as your trusted partner, you can focus on growing and marketing your ecommerce business.